We are delighted to announce that more than 10,000 activities took place across the UK to mark Holocaust Memorial Day (HMD) 2019, with 46% more individual organisations marking HMD compared to January 2018. Organisations which took part included youth groups, libraries, prisons, schools, local authorities and cinemas, with activities ranging from book discussions and art exhibitions to plays and tree planting. HMD activities brought people together from different backgrounds to remember people affected by the Holocaust, Nazi Persecution and the genocides which followed in Cambodia, Rwanda, Bosnia and Darfur. 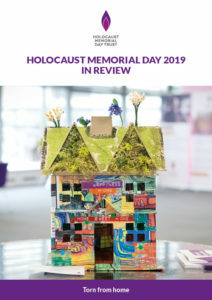 We are today pleased to release our new publication Holocaust Memorial Day 2019 in review which explores the reach and impact of HMD across the country. You can also see a selection of the activities that took place for HMD 2019 on our online activity map. Marking Holocaust Memorial Day has enabled me to dedicate time to reflect on the Holocaust and subsequent genocides, as well as their contemporary relevance today. Such reflections, discussions and interactions with survivors have once again left me with a renewed will to not be a bystander, to stand up to prejudice, intolerance and discrimination, and to always take action, no matter how small. This year’s theme was Torn from home which encouraged people to reflect on how the enforced loss of a safe place to call ‘home’ is part of the trauma faced by anyone experiencing persecution and genocide. 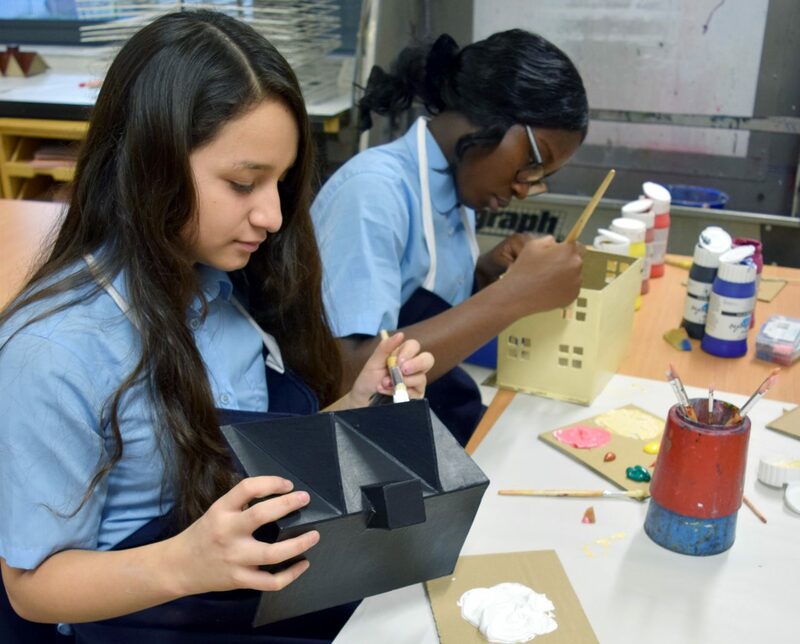 Students from seven secondary schools reflected on this when creating small houses as part of their HMD activities. The houses embodied what a home should be and were displayed at the UK Commemorative Ceremony for HMD 2019. You can watch highlights of the UK Ceremony for HMD in the film below. Thousands of HMDT Postcard Project participants read the stories of Renee Bornstein, a survivor of the Holocaust, and Sokphal Din, a survivor of the Genocide in Cambodia. They then sent them messages on postcards and received a postcard from Renee or Sokphal in response. We reached online audiences with a film explaining the purpose and relevance of HMD. This was viewed 1.5 million times.